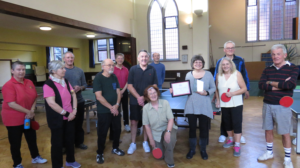 Hello, I’m Anne Borrowdale, an author, speaker, volunteer and table tennis enthusiast from Oxford, England. I’ve done many things in my 25 years as a freelancer, mainly involving writing, speaking and helping people to develop and thrive. I’m especially interested in how people can thrive in later life.